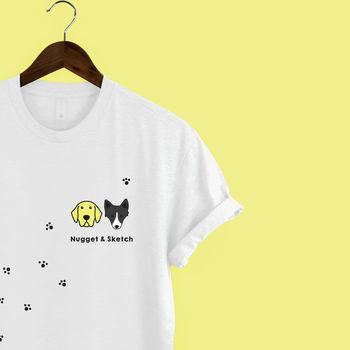 Have a t-shirt with not only your dogs name on, but also the breed and the same colour illustration of your dog! 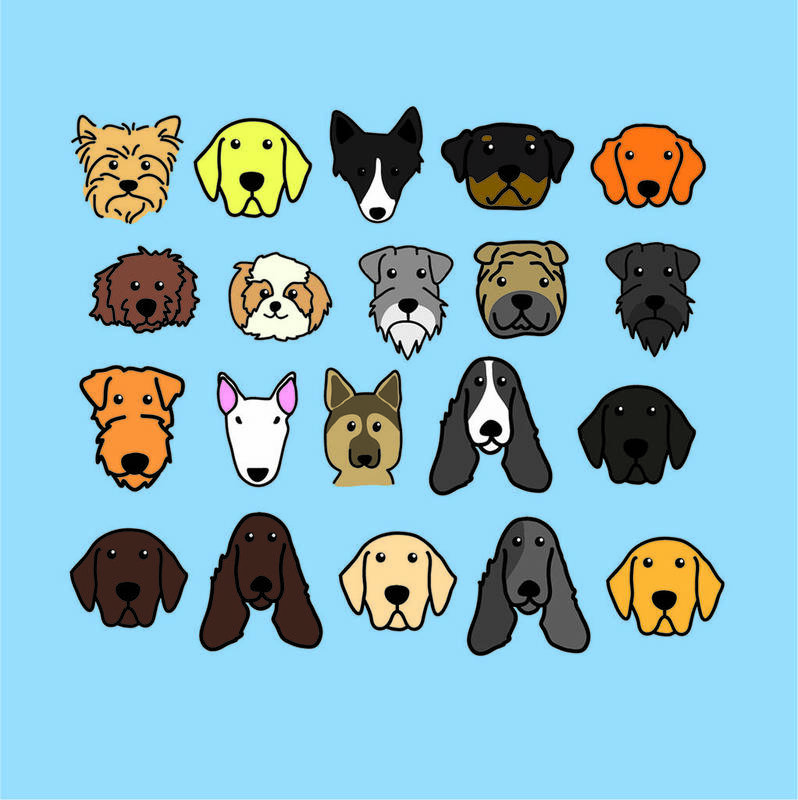 2) In the box below please type the breed(s) of dog you would like and their colour (if you don't see these on the picture below it is no problem: I can draw whatever dog(s) you like. 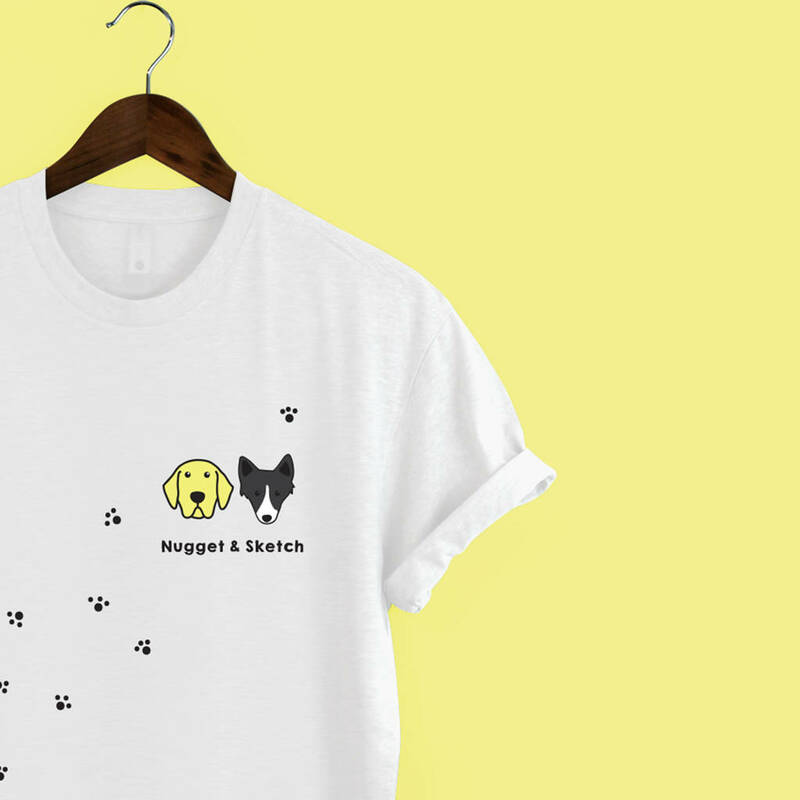 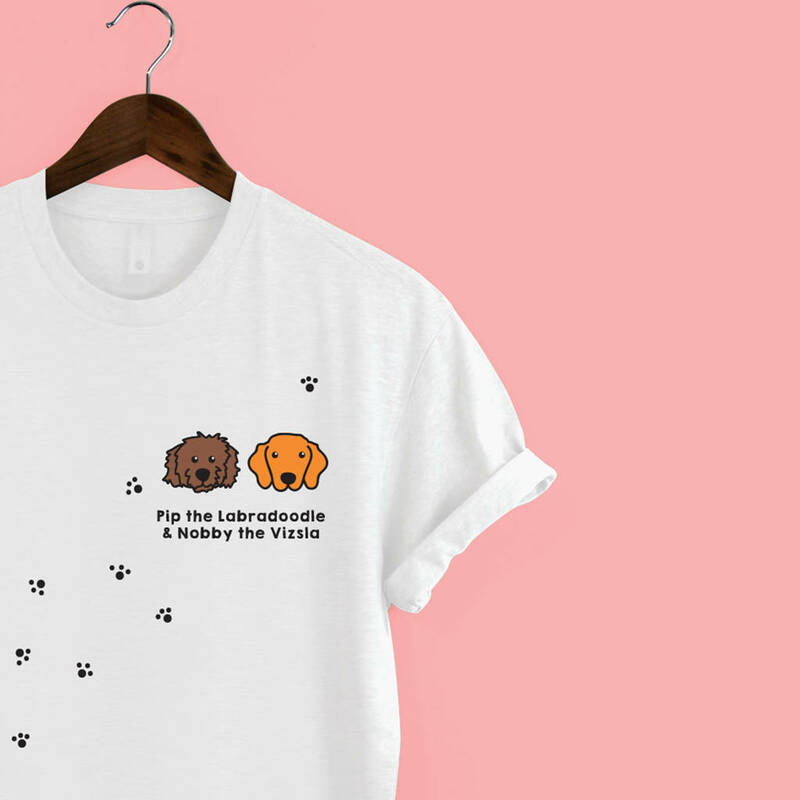 4) I will email you (via notonthehighstreet) a mock-up of your t-shirt to make sure you love it, once I receive a reply to say all the design is fine, it will then be sent to print and posted out to yourself via 2nd class Royal Mail.